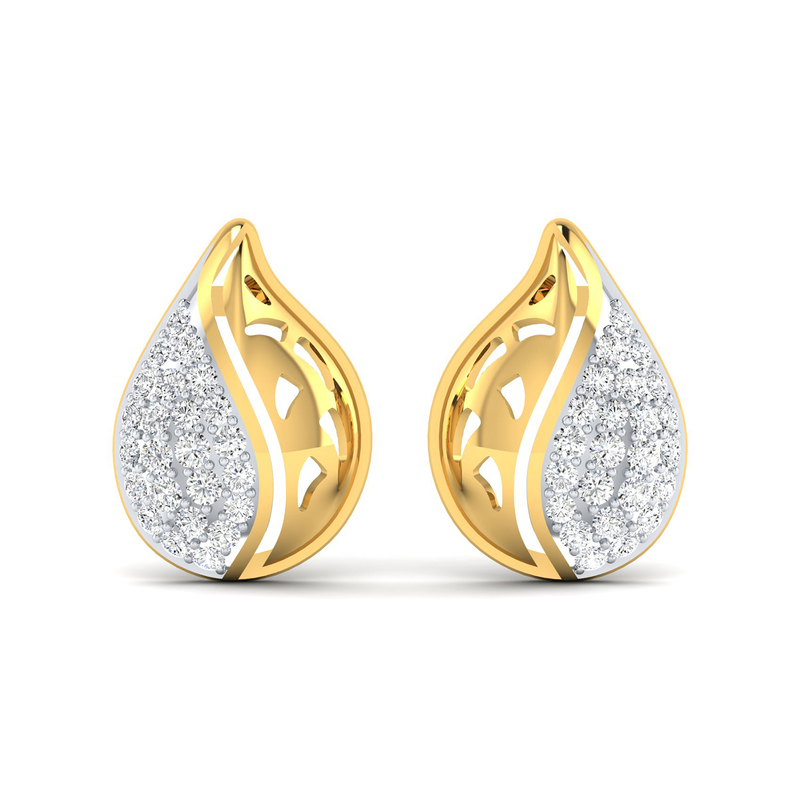 Crafted in gold and embellished with diamonds, this pair of earrings has all the trappings to make heads turn. You can team it up with your casuals, formals as well as traditionals. What's more! Capturing the beauty of a dew, along with the metallic shine, this jewellery set also infuses a mystic charm into the wearer's look. Shop, sport and shine on!